Kimura was named to California Collegiate Athletic Association Conference teams all four years. 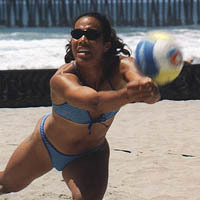 In 1994 and 1995, she was selected to the AVCA all-Region teams, and in 1994 earned CoSIDA Academic all-District. When she finished playing she etched her name in the school's top five in career kills, hitting percentage and blocks.